If you suffer a shoulder injury in the workplace, Capron & Avgerinos can help you. Shoulder injuries can happen to anyone, anywhere on the job. They can cause damage suddenly or over a period of time due to repetitive action. And, shoulder injuries can create long-term pain and suffering. In Illinois and Iowa, shoulder injuries are covered by workers’ compensation. And Capron & Avgerinos can help you. Our attorneys understand that shoulder injuries are serious, painful disruptions that can cause long-term loss of income and personal mobility, compromising your quality of life inside and outside the workplace. Our Illinois and Iowa attorneys possess decades of experience achieving results for people have suffered shoulder injuries on the job.  Capron & Avgerinos’ attorneys consult with vocational and orthopedic specialists to help determine the severity of your injury and calculate the damages that might be involved. Depending upon the circumstances of your case, you may be entitled to receive full medical expenses, temporary disability, permanent disability, vocational rehabilitation, or compensation for loss of earning capacity as a result of your shoulder injury. Call Capron & Avgerinos now at (800) 535-4542 if you have been a victim of a shoulder injury on the job in Illinois or Iowa. We are ready to assist you over the phone or in person. We perform our cases on a contingent fee basis, which means we are not paid unless you recover compensation for your claim. Call Capron & Avgerinos at (800) 535-4542 – let us show how we can deliver results for you.